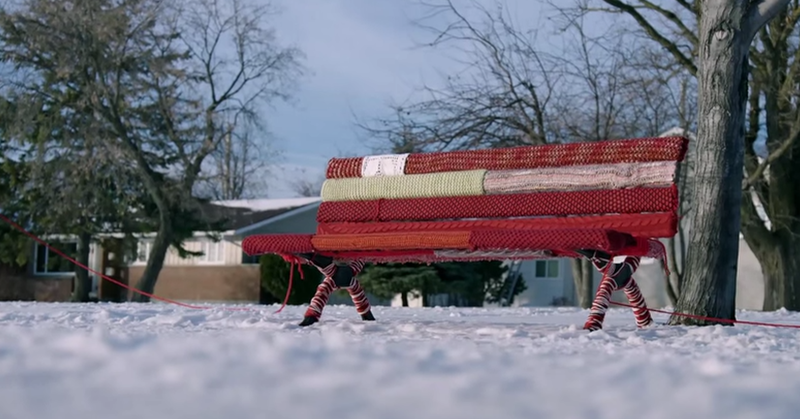 If you haven't seen this commercial for Tims yet, you should watch it now. 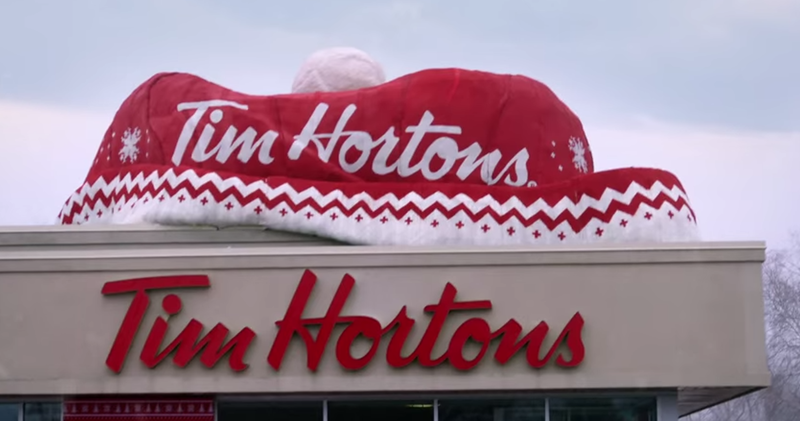 As part of their #warmwishes campaign, Tim Hortons yarn bombed the town of Fort Frances in Northern Ontario on December 17th, 2014, topping it all off by wrapping an entire Tims in woolly goodness. You can watch a time-lapse of the process in the video below. 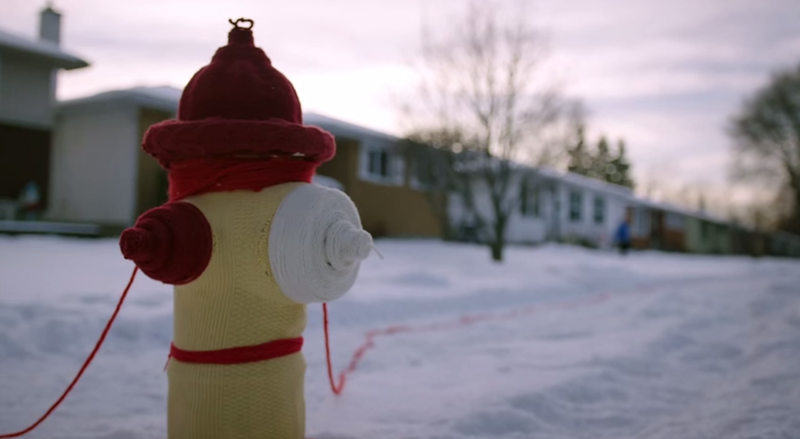 Some of my favourite pieces of yarn bombing from the video are the bench and the fire hydrant. I can't wait to do some yarn bombing of my own here in Calgary this year. 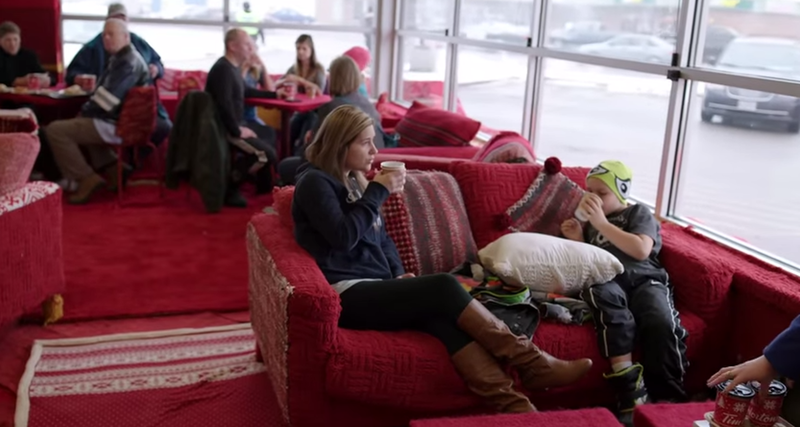 But the thing I loved the most in the whole video absolutely had to be the cozy looking knit covered couches and cushions. I absolutely must do a project like this in my own home one day. (even if it would take a tonne of knitting). So thank you Tims, for warming up Fort Frances a little, warming up my own winter and for the great inspiration. Easy as 1, 2, 3 Hat.